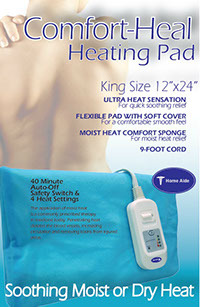 • King size heating pad 12"x 24"
After a sprain or surgery it is common to use aids such as a heating pad or brace to alleviate the strain that normal movements put on joints or muscles. By adding heat muscles are able to relax so that tension is taken off and the healing process. which many times can be painful, can be suffered by the patients. When it comes to braces, the stability provided by our braces restrict the movement of a joint. 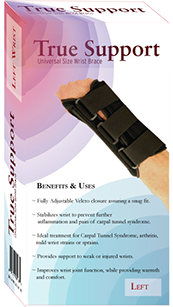 This allows the joint to be relieved of pressure that would normally be placed upon it by everyday movements and accelerates the body's healing process.